Going to the dentist is a “must” when it comes to removing plaque. But, did you know that you can use many other natural methods and get rid of plaque at home. 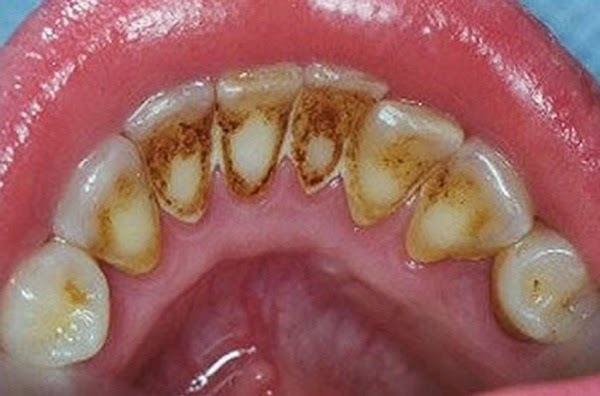 According to MotherNature.com, the good old baking soda can also help you remove the plaque from your teeth. Put some baking soda on your dampened toothbrush and scrub away the plaque. You can also combine a pinch of salt and a tablespoon of baking soda and use this mixture to brush your teeth. Apple cider vinegar has also proven to be effective in removing plaque. All you have to do is soak your toothbrush in some vinegar and brush your teeth. Thoroughly rinse your oral cavity with water to prevent any damage to the tooth enamel. Mix all the ingredients together and cook the mixture on a low heat for half an hour. Brush your teeth using the mixture after your meals.